Cic Saor - Why the UVF’s “World Cup” massacre at Loughinisland could sink the Smithwick Tribunal. The court challenge against Smithwick is being made by Detective Sergeant Eoin Corrigan (retired) and his legal team headed by barrister Jim O’Callaghan. Eoin Corrigan was the subject of a decade long whispering campaign on the part of disreputable FRU spooks Peter Keeley and Ian Hurst who managed to get the ear of MPs in the UK parliament, the Dublin 4 media and, indeed, the families of Breen and Buchanan. Quite understandably given the shocking circumstances set out below, Eoin Corrigan is challenging specific points relating to himself, but I understand that the challenge by his legal team will seriously question Judge Peter Smithick’s overall handling and interpretation of the evidence gathered by the Tribunal. One senior Dublin barrister I spoke to (who has no involvement in Smithwick) told me that, now the report has been read and digested amongst the legal fraternity, there is a view that Smithwick has shown alarming naivety and that the report is “like a stack of cards just waiting to be blown over”. The main reason for this disquiet amongst a section of the Dublin legal fraternity is the extraordinary 11th hour intervention by MI5 and the PSNI’s controversial C3 (Special Branch) and Legacy Units into the Smithwick field of play. Since the multi million Euro Smithwick Report was published in November 2013, there has not been a peep from Ireland’s media, or indeed its politicians, over the way MI5 pushed Smithwick over the “IRA collusion” line, at a point when it was clear there was a lack of concrete evidence showing collusion was in place. This was after seven years of strenuous and painstaking investigations, sifting for evidence amongst phone records, telephonists, telecoms experts, police and army figures, journalists and Troubles commentators. 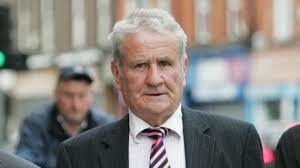 This author was also asked to give evidence in a private interview with the Smithwick legal team in May 2012. … the Tribunal has received from the British authorities in Northern Ireland intelligence information which is highly relevant and potentially significant to its terms of reference. This information relates to the question of whether members of An Garda Síochána colluded with the Provisional IRA. This information was provided to me orally in the presence of a number of the members of the Tribunal’s legal team. Since the receipt of this information, the Tribunal has been exploring with the relevant officials the possibility of the provision of this intelligence information or some précis or summary thereof on a formal basis so that it can be put into evidence before the Tribunal. Smithwick’s reference to this new orally presented evidence must mean that he met senior members of the PSNI’s Legacy units in the early Spring of 2012 and was briefed regarding new evidence that had supposedly come to light. My understanding is that Peter Smithwick had face to face discussions at this time with one of the most senior (and indeed one of the most controversial) PSNI officers Assistant Chief Constable Drew Harris. 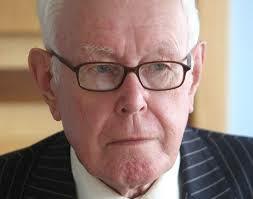 Smithwick also notes in his report that he met MI5 personnel “on a number of occasions”. These meetings were presumably arranged by that same Drew Harris who is the PSNI’s liaison officer with the “Security Service” and military intelligence in his role as head of C3 (old RUC Special Branch). Indeed Judge Smithwick does not, from an equality, openness and accountability viewpoint, seem to have understood or even considered exactly how “old school” a number of the top officers of the PSNI, including Drew Harris, appear to be. Over the last few years a storm has brewed over perceived attempts by the Legacy and Historical Enquiries departments of the PSNI not only to apparently frustrate collusion inquiries, but also to turn back the clock and reintroduce the RUC and political policing by the back door. Drew Harris has been at the centre of that storm but its rough winds seem to have passed by the Smithwick Tribunal unnoticed. But, as we shall see, Drew Harris’s participation in these meetings is only the start of what we might call his "legacy" problems. We already know, or should know, MI5’s track record. 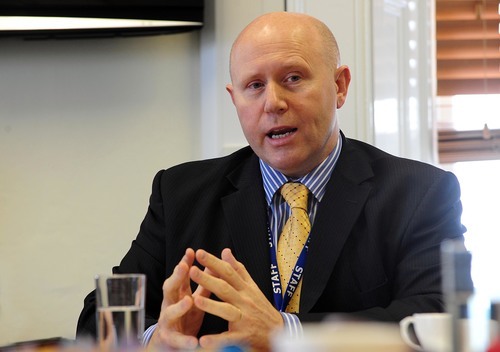 It is not that Drew Harris (as one of the most senior police officers in the PSNI who as head of Special Branch has the most important and sensitive job in the whole PSNI structure) sat down with MI5 and said let’s devise a conspiracy to railroad the Smithwick Tribunal. 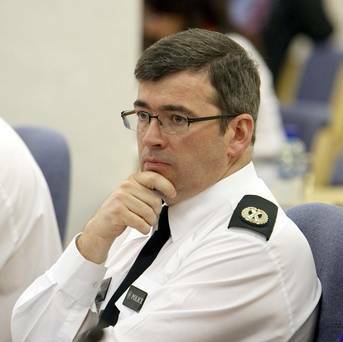 Rather, it is in the crucial and concrete area of the policy and practise used by MI5 and covert units and historical inquiry units of the PSNI in terms of evidence standards, evidence gathering and then the provision of that evidence (or non provision and even obstruction of evidence gathering) that posed huge problems for Smithwick’s credibility once he decided to accept Harris/MI5’s “fresh” evidence. When finally appearing in person (though in private session) at Smithwick in September 2012, Drew Harris told the Tribunal that he had seen – “material, intelligence of the moment which I thought we could share with the Tribunal”, and that – “it is an extraordinary position one which we haven’t been in before, where we have sought to share live intelligence, intelligence of the moment with an on-going public inquiry”. (See transcript of Evidence of ACC Drew Harris, read into the record in October 2012). a) A general (that is to say non specific) allegation that a number of Customs and Garda officers had helped the IRA in various ways exclusive of the Breen/Buchanan murders. b) A more specific (but again non-verifiable) allegation that one particular senior member of An Garda Siochána had provided direct assistance to the IRA in the murders of Breen and Buchanan. It is b) above that seems to have been the collusion clincher for Smithick, yet astonishingly for many observers this point b) had nothing to do with Eoin Corrigan. This had become clear even before Drew Harris's presentation to the Tribunal when Chief Supt Roy McComb of the PSNI’s Serious Crime Unit appeared at the Tribunal in July 2012 (clearly as a “messenger” under the direction of Drew Harris and MI5). McComb claimed that the PSNI had five previously undisclosed documents that he said were of great relevance to the tribunal’s work, and indicated collusion with the IRA by an unnamed senior garda officer PREVIOUSLY NOT INVESTIGATED BY THE TRIBUNAL – a “Fourth Man” (because three other officers had already been investigated). It was this “Fourth Man”, the PSNI was now saying, who had primarily being doing the colluding with the IRA and this “Fourth Man” had received a massive amount of money to set up Breen and Buchanan for assassination. In short, what MI5 and Drew Harris are telling the Irish people who have subvented this hugely expensive and highly questionable inquiry for seven years is that after years of asking the NIO, the PSNI and UK secret services about Eoin Corrigan, (who was named as the IRA mole in the House of Commons by DUP MP Jeffrey Donaldson in April 2000), those same channels were now saying it was a different Garda officer entirely. But, and it is big “but”, MI5 and the PSNI could not name this “Fourth Man” or provide any documentary or other source evidence to back up their claims. It was a case of a nod and a wink and – you’ll just have to trust us Judge. 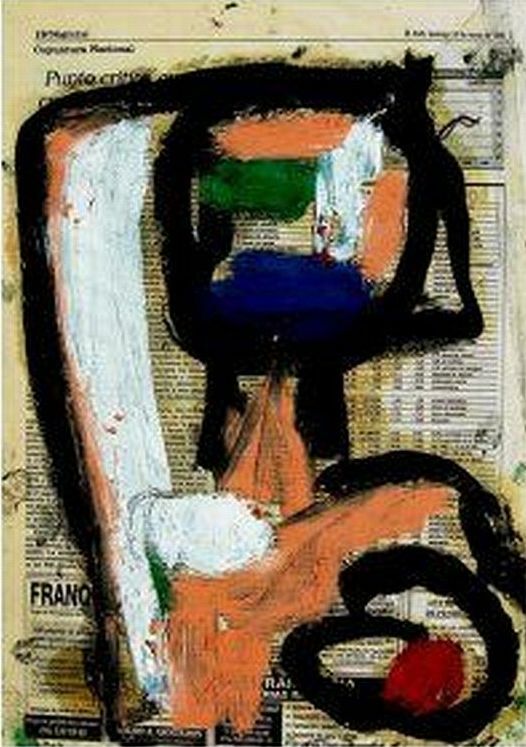 Now we need to stop for a moment and consider two, to my mind, astounding aspects to this farce. "It has been agreed that disruption is the alternative as recruitment of PIRA players has proved impossible, and this would provide an ideal opportunity for unnerving the unrecruitable." First of all with regard to MI5. One will look in vain in Judge Smithwick’s report for a reference to the skulduggery, foul murders and psyops stratagems employed by MI5 in Ireland. 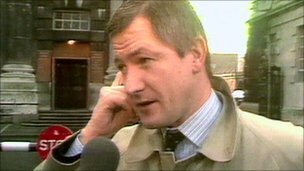 Look above at the secret internal MI5 memo (never meant for publication) stating that a propaganda campaign was needed against the likes of Pat Finucane and other prominent Irish/Catholic figures as a means of “disruption” (stoking the fires that would eventually lead to Finucane’s murder). 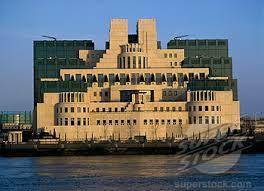 It is also a matter of fact that MI5 ran a cohort of murderous agents in Ireland (North and South). It almost certainly still does. 1.4.6 … I consider that the co-operation and assistance received from all of the security agencies of the United Kingdom to be a novel and unprecedented aspect of the work of this Tribunal of Inquiry. In this respect, I have already outlined the process of co-operation from the PSNI, but I also wish to comment on co-operation with the British Security Service. While the Tribunal’s legal team was not given access to underlying Security Service intelligence, the Tribunal’s legal team met representatives of the Security Service on a number of occasions. At the Tribunal’s request, the Security Service conducted various searches and informed the Tribunal of the outcome of those searches. Furthermore, some of the intelligence documentation provided by the Northern Ireland Office to the Tribunal in a redacted form originated from the Security Service. I am also of the view, from the evidence I have heard, that the Security Service played a significant if not determinative role in deciding that the ‘modern’ intelligence referred to above be provided to and put into evidence before the Tribunal, albeit in a somewhat limited format and without access to the underlying documents. While I acknowledge that a process which does not allow the Tribunal to verify, by checking the underlying information, that what it is being told by the Security Service in response to our various requests is accurate, is not a perfect process, I am nonetheless of the view that the Tribunal has done well to secure an unprecedented level of co-operation from the Security Service of another sovereign state. If I may speak bluntly, and without questioning the Judge’s honourable intentions, Smithwick’s view of MI5 is both incredible and lamentable. No hard questions for MI5 about a series of assassinations along the border, Pat Finucane, Rosemary Nelson, The Dublin and Monaghan Bombs, the apparently deliberate arming of certain republican dissident groups. No hard questions as to MI5’s motives for suddenly revealing its startling but completely uncheckable "Fourth Man story. The Security Service must have been laughing behind its hidden hand. The Police Ombudsman of Northern Ireland is suing Drew Harris’s Special Branch, Legacy and Historical Enquiry Units for obstruction. We now turn back to Drew Harris and the leadership of the PSNI. In policing terms, what should Judge Smithwick have taken into account regarding Drew Harris’s statements to the Inquiry? We have already seen that Harris attended seminars to advise former RUC officers. But there has been even sharper criticism of Harris to the effect that he is in fact part of a “dark force” within the PSNI, which has been dubbed the “Continuity RUC”. Or put another way, there is evidence that points to a mind-set within the PSNI’s Serious Crime, Legacy and Intelligence divisions that not only looks back with fondness on the old and discredited RUC, but also has a proactive desire to defend the old RUC and obstruct inquiries that seek to investigate RUC corruption and its lethal links to loyalist death squads. Nor is it just the usual suspects in Sinn Fein who are saying this. Judge Smithwick gives the impression of being completely unaware that there may be a problem with sections of the PSNI in terms of attitude and evidence delivery. Why for example did the Smithwick Tribunal not question more rigorously the reason why the Legacy unit of the PSNI (acting on advice from MI5) took a decision to change its previously uncooperative behaviour and come to Dublin with startling but unverifiable evidence about a “Fourth Man” when it seems to have been doing exactly the opposite in the North – i.e. obstructing collusion inquiries and refusing to hand over information that might expose police who colluded with loyalist death squads. This is not me saying this but “neutral” organisations like the Northern Ireland Coroner’s Office, which has warned that endless delays on the part of the PSNI in handing over, what we might call legacy material, in controversial cases mean that it cannot carry out its legal function. We need look no further than the appalling murder of pensioner Roseanne Mallon in 1994 by Billy Wright (himself an RUC agent) to see that there is, or has so far, been a real problem with historical disclosure to the Coroner’s Office from within the PSNI. The situation is so bad that the Northern Ireland Police Ombudsman’s office has initiated court proceedings against the PSNI because of its refusal to share “sensitive intelligence” involving 60 deaths where collusion was undoubtedly present in at least some of these cases. With regard to Loughinisland and RUC collusion with loyalist death squads in general, the outstanding Mark Thompson of the Relatives for Justice group explains in this excellent audio clip exactly how the RUC old guard lies at the heart of opposition to a genuine and inclusive truth process that can investigate all controversial incidents and how that same old guard simply views one side (i.e. Irish nationalists) as a fitting target for scrutiny. This unwritten but clearly active policy is a total negation of the Good Friday Agreement. Not one police officer has ever been charged, never mind convicted, of collusion in any incident – a staggering indictment of the PSNI. Judge Peter Smithwick must surely have been aware of the disquiet in the country over the PSNI's policy of obstruction and denial? The Irish government certainly is. From all the above, it seems that elements of the old RUC within the PSNI have indeed engaged in the non-disclosure of information and the obstruction of legal inquiries when it suited them. Drew Harris and PSNI Chief Constable Matt Baggot must he held to account over this. There is therefore a huge question as to whether the PSNI Legacy unit and MI5 should have been treated as honest brokers by Judge Smithwick in reaching his highly controversial, many argue inexplicable, conclusion that members of the Garda Síochána colluded with the IRA – especially via this unnamed and unverifiable “Fourth Man”. There is an urgent need on the part of, not just the media but Irish political life and the state itself, to review Smithwick’s conclusions because at the moment we are in the farcical situation where Northern Ireland’s Police Ombudsman’s Office has just initiated legal proceedings against the PSNI because of its wholesale obstruction and withholding of information with regard to murder cases, yet the Smithwick Tribunal has placed all its eggs in that very same MI5/PSNI Legacy Unit basket. Applying the test qui bono - what was the benefit or point to in introducing the fourth man at such a late stage? Was the fourth man introduced to ensure that the judge would find that there was definitely *some* evidence of collusion? Or was the fourth man introduced and the 'live intelligence' blather intended to move the Tribunal's focus? Eoin a chara - thanks for your comments. MI5's motives at least are always clear as it's duty is to protect the monarch of England and his/her realm. Sowing "disruption" and confusion and planting false trails in Ireland is its stock in trade. 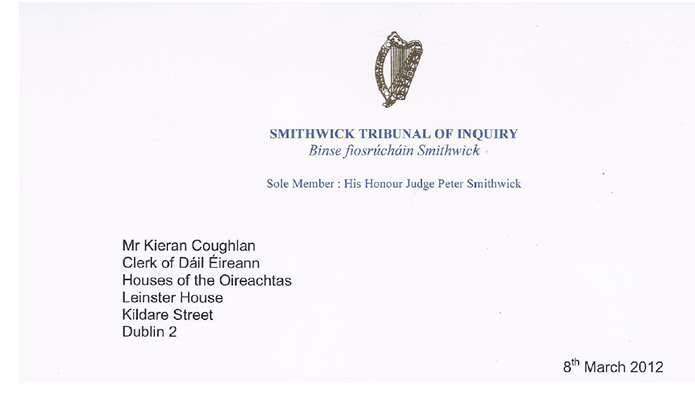 Dáil Éireann and the Irish judiciary needs, in my view, to closely examine the basis of Smithwick's trust in MI5's bona fides. 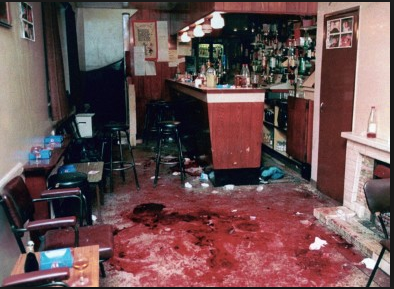 Title: Why the UVF’s “World Cup” massacre at Loughinisland could sink the Smithwick Tribunal.